Your packaging is critical to your brand. Packaging has to do more than just "pop" at the shelf. it must communicate the story of your brand and become an essential part of the product. Is your packaging powered to do all that? If you sell your product through retail distribution channels, the appearance of that product on the shelf is critical to its sales success. A great package helps you sell your product to retailers and customers alike; conversely, a poor package can keep your product from reaching its full sales potential. To help you create a package that works its hardest to sell the product inside, call us. Give us your concept and we will create the final product for you. our cost effective manufacturing will allow you to transform your concept into reality at very economical costs. A good packaging does not have to cost you the earth. Good products need not be expensive. 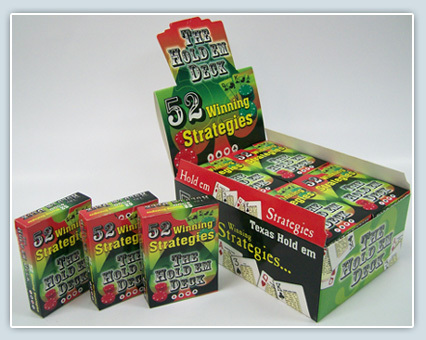 52 Winning Strategies has a CDU of 12 decks lay hat. Packaging is what sells a product. Yes, the contents need to be definitely good, else the product will not sell. 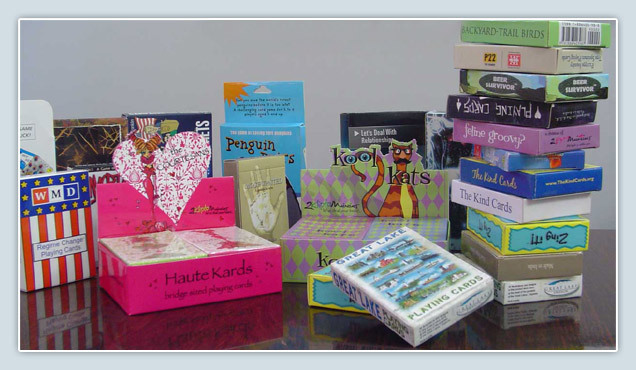 However, impulse buying helps in volume sales and games also sell through word of mouth. We like a game and we say this to others, who further buy that game. but we have to pick that game from the stores and play the game before we say good things about it. We may pick that game just by impulse. It could be just because of it’s packaging. You can further take telescopic game boxes. Such boxes are printed on 20 PT C1S German board stocks. 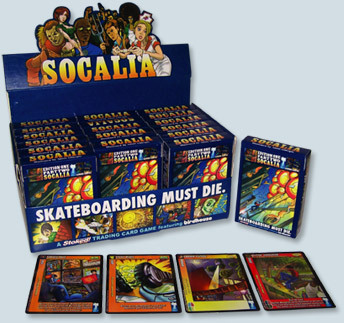 The thickness of the board stock is good enough to hold the game contents in the box for re-use. 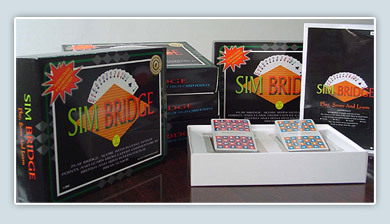 Sim Bridge is an example of a board game type box. 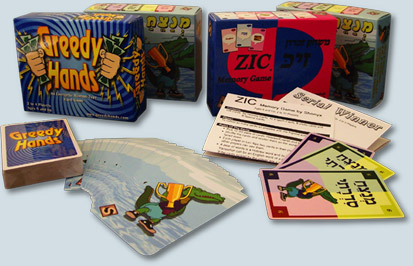 The game has many contents that have been' packed inside the box. 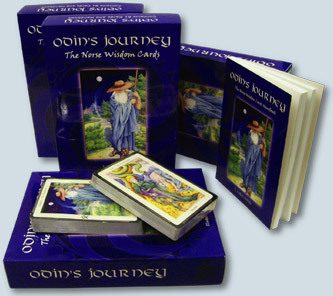 It holds two decks of cards that have been placed on two plastic trays and the plastic trays have been placed upon an insert. 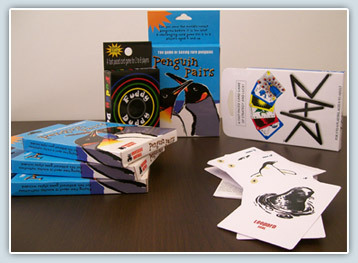 Two instruction booklets are further placed upon the card decks and along with the books we have placed some score pads.. 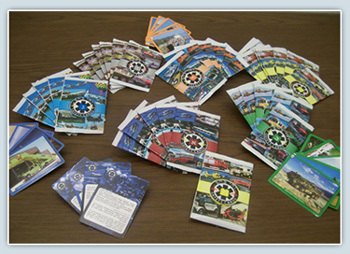 The cards have been cello wrapped before placing them on the plastic trays. 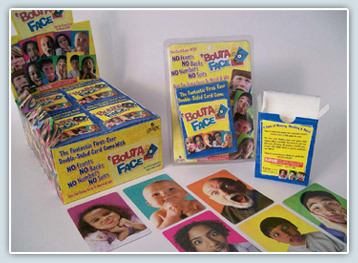 After adding all the content, we have further shrink wrapped the game box. 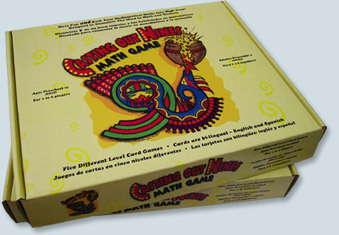 5 different versions of this box were printed and 10 different booklets were printed. 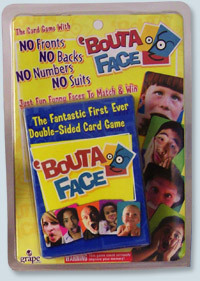 Again 10 different type of card decks were used for the five different versions of this game.